Download the lesson plan for this content below! What is inside this lesson? 5) Daily quiz / assessment – exit slip! *Most of our plans include the contents of this list. 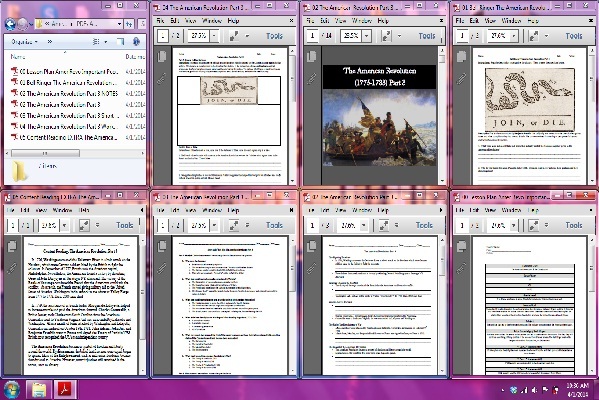 Some however feature study guides, assessments or alternate assignments like group work. Please see the photo above for images of what is inside this lesson plan. What content does this lesson plan cover? 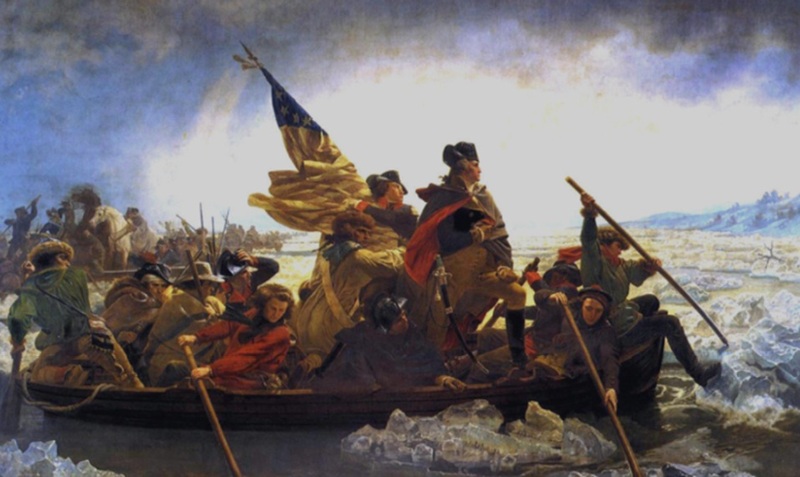 In 1776, Washington crossed the Delaware River in a bold attack on the Hessians, which were German soldiers hired by the British to fight the colonists. In September of 1777, Britain took the American capital, Philadelphia. Nevertheless, the Americans found a victory by defeating General John Burgoyne at Saratoga, NY afterward. The victory of the Battle of Saratoga convinced the French that the Americans could win the conflict. As a result, the French started giving military aid to the United States of America. Washington had a setback in the winter at Valley Forge from 1777 to 1778. Here, 2000 men died. In 1779, the assistance of a French leader, Marquis de Lafayette, helped to increase morale and push the Americans forward. Charles Cornwallis, a British leader, took Charlestown South Carolina from the Americans. Cornwallis went to Yorktown Virginia, but was surrounded by Lafayette and Washington. After a month of being attacked by Washington and Lafayette, Cornwallis surrendered on October 19th, 1781. John Adams, John Jay, and Benjamin Franklin went to France and signed the Treaty of Paris in 1783. Britain now recognized the USA as an independent country. The American Revolution became a symbol of freedom and liberty around the world. Egalitarianism, the belief that free men were equal, began to spread. Ideas of the Enlightenment, such as individual freedoms, became foundational to America. However, many injustices still remained in the nation, such as slavery.